Described by The Oxford Companion to Wine as having "done more to advance the cause of wine in Australia than any other individual", Len Evans has left a precious legacy. 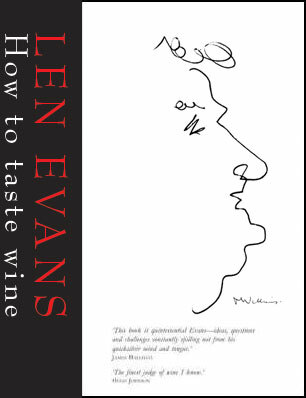 Evans lived a life as a promoter, taster, judge, consumer, teacher, maker and drinker of wine. The sum of all these talents made him "an influence worth bottling". Landing penniless in Australia in 1955, Evans wound his way into a stellar career in wine that lasted almost half a century. 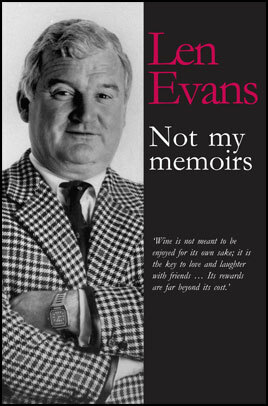 In his 70’s, having reached the level of industry elder statesman, Len Evans AO, OBE decided to share his knowledge and ideas, his stories and experiences, in two final books – How To Taste Wine and Not My Memoirs.